Yes! This is a real problem with the Power BI team to source control Power BI report files (.pbix) with the team. I too have faced problem with it. How to integrate Power BI files to a source control tool like TFS, SVN, Git, Azure DevOps, etc. as there is no Project structure available? Will we get proper versioning of .pbix files as they are not XML/JSON based as we get in case of SQL Server Reporting Services? Different teams have adopted different ways to handle it. One of the teams used Visual Studio to have a Solution with any project. Created Solution Folders to organize the report files and added all .pbix files to respective folders. Finally, associated that Solution to the TFS. Whenever they need to work on a particular report, open the Visual Studio Solution and double click on .pbix file. It opens the report up into Power BI Desktop. Work on it and save it. Come back to Visual Studio and Check-In. That’s it! Though, the real issue is Power BI Developer needs to have Visual Studio installed on their local system to make it work. The management questions, why a Power BI team needs to have Visual Studio??? Of course, they need to buy VS licenses for them. Does it really maintains different versions of .pbix file? Technically a .pbix file is not a XML/JSON file the way we have SSRS reports. So, how does it maintain different versions of .pbix file? Practically, I have seen it working fine with TFS. God knows how it works, but it works, at least so far. Never got any issue from anyone on this. I wish if Power BI team can integrate the Desktop tool to Azure DevOps the way Azure Data Factory team has done it for ADF V2 version. Azure Data Factory has implemented CI/CD in the Azure Portal itself. So, there is no need for Visual Studio and other stuff, which had been there with ADF V1 version earlier. Yes! I faced problem working on ADF V1 when it comes to sharing files with other team members. Hope, Power BI team does same sooner. Let me know your experience on this issue. It’s always good to have latest version of Power BI Desktop as Power BI team keeps on updating the Desktop tool. 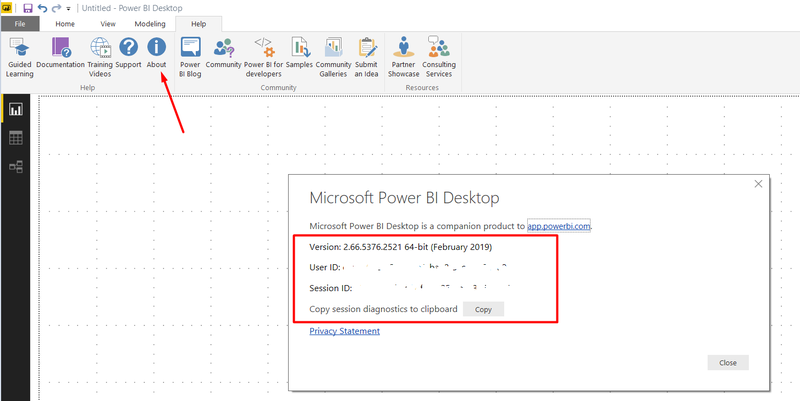 So, how to find out what version of Power BI Desktop you’ve been running??? I’ve rubbed the User ID and Session ID off from the image as that’s, I guess, the confidential info about my Power BI Desktop. 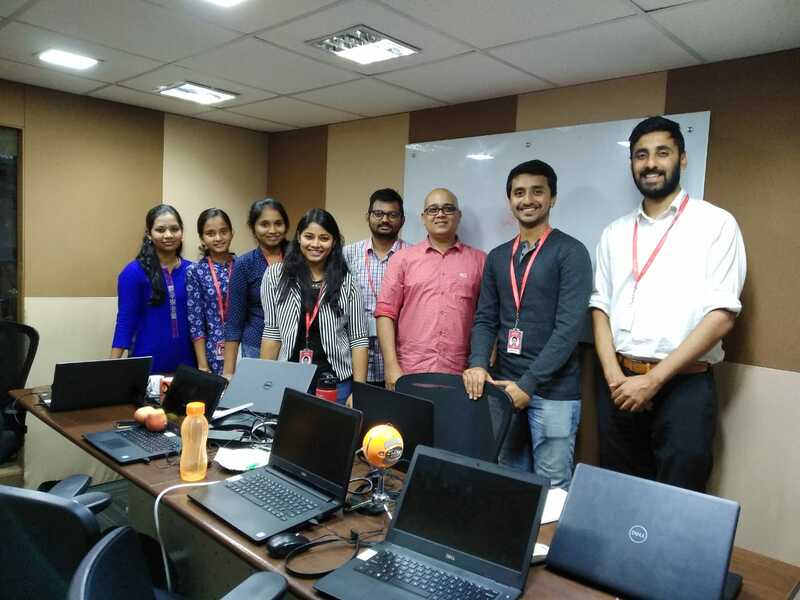 Conducted WPF and MVVM training at L&T Technology Services, Mysuru during 11-15 Feb, 2019. Have been working on ASP.NET MVC, Angular and React more often now-a-days. It’s been really great to have this session as I had worked on WPF and MVVM long back and was out of touch somehow. Feel Happy! I still remember all the concepts and could share my knowledge with the participants. 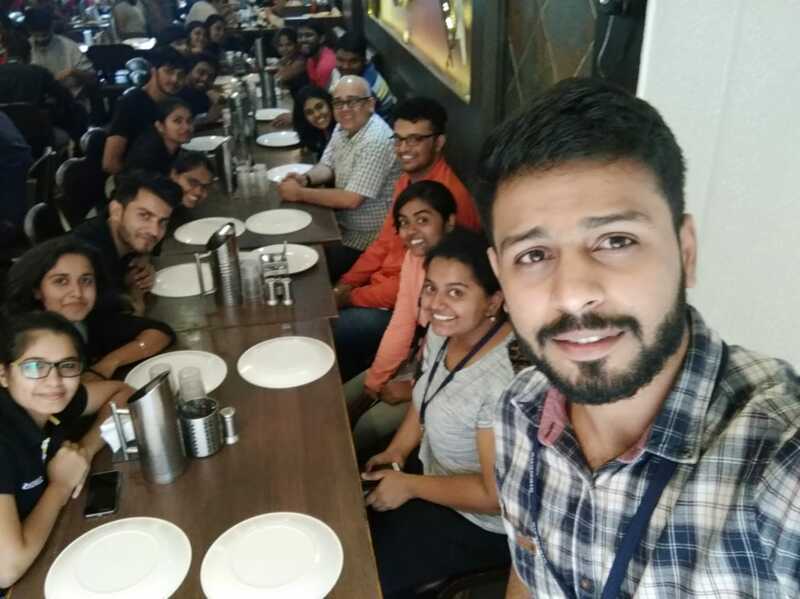 Had nice time with cool weather at L&T Technology Services! 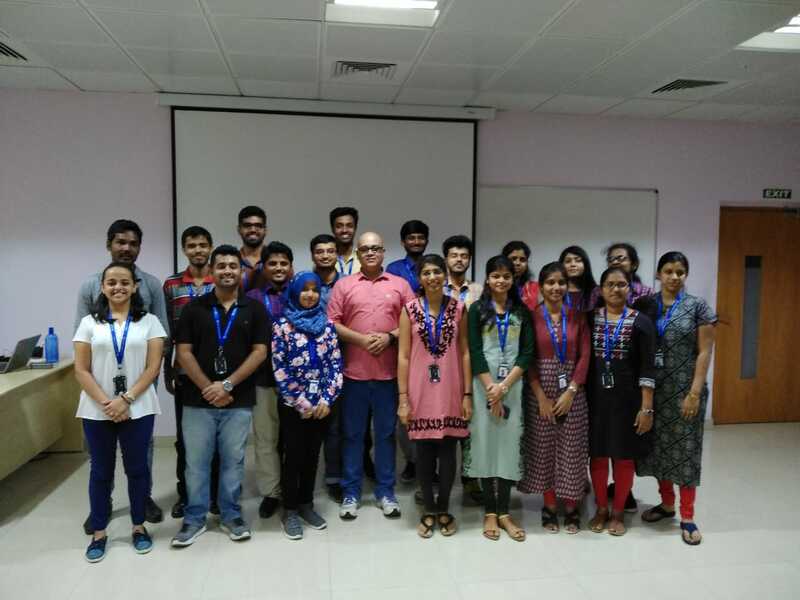 Just finished training at L&T Technology Services, Mysuru…Shared knowledge on OS Basic, Software Programming Fundamentals and PDLC/PLM, after long time covered these topics. Enjoyed a lot with you guys! In May 2018, Microsoft announced .NET Core 3.0, the next major version of .NET Core that adds support for building desktop applications using WinForms, WPF, and Entity Framework 6. We also announced some exciting updates to .NET Framework which enable you to use the new modern controls from UWP in existing WinForms and WPF applications. Today, Microsoft has shared a bit more detail on what Microsoft is building and the future of .NET Core and .NET Framework. Side-by-side versions of .NET that support WinForms and WPF: Today there can only be one version of .NET Framework on a machine. This means that when we update .NET Framework on patch Tuesday or via updates to Windows there is a risk that a security fix, bug fix, or new API can break applications on the machine. With .NET Core, we solve this problem by allowing multiple versions of .NET Core on the same machine. Applications can be locked to one of the versions and can be moved to use a different version when ready and tested. Embed .NET directly into an application: Today, since there can only be one version of .NET Framework on a machine, if you want to take advantage of the latest framework or language feature you need to install or have IT install a newer version on the machine. With .NET Core, you can ship the framework as part of your application. This enables you to take advantage of the latest version, features, and APIs without having to wait for the framework to be installed. Take advantage of .NET Core features: .NET Core is the fast-moving, open source version of .NET. Its side-by-side nature enables us to quickly introduce new innovative APIs and BCL (Base Class Library) improvements without the risk of breaking compatibility. Now WinForms and WPF applications on Windows can take advantage of the latest .NET Core features, which also includes more fundamental fixes for an even better high-DPI support. Modern browser and modern media controls: Today, .NET desktop applications use Internet Explorer and Windows Media Player for showing HTML and playing media files. Since these legacy controls don’t show the latest HTML or play the latest media files, we are adding new controls that take advantage of Microsoft Edge and newer media players to support the latest standards. Access to touch and UWP Controls: UWP (Universal Windows Platform) contains new controls that take advantage of the latest Windows features and touch displays. You won’t have to rewrite your applications to use these new features and controls. We are going to make them available to WinForms and WPF so that you can take advantage of these new features in your existing code. High DPI improvements: The resolution of displays is steadily increasing to 4K and now even 8K resolutions. We want to make sure your existing WinForms and WPF applications can look great on these displays.